Information collected by satellites recently sent by the USA, the European Space Agency, Japan, Germany, the United Kingdom, and Russia to monitor the Sun has changed our knowledge and understanding of the Sun, particularly its effect on Earth. This book presents these findings in a way that will be welcomed by amateur astronomers, students, educators and anyone interested in the Sun. Enhanced by many colour photographs, the book combines newly acquired scientific understanding with detailed descriptions of features visible on the Sun's surface and in its atmosphere. In the past, observing the Sun has been left to academics with specialised instruments, since solar observation has been unsafe because of the risk of eye damage. 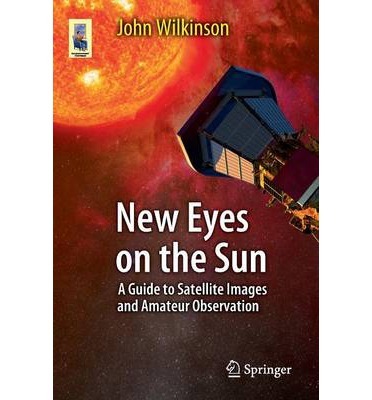 This book explains how amateur astronomers can safely observe the various solar phenomena using special hydrogen-alpha telescopes that are not too expensive. Amateurs can now make a positive contribution to science by monitoring the Sun as professionals do. Amateurs can also access the solar images taken by satellites via the internet. This book helps readers interpret and understand what these images are showing about the Sun, including the latest 3D images. Solar observers will enjoy comparing their own solar telescope observations with those produced by space probes such as SDO, SOHO, Hinode and STEREO, and further enjoy learning about transits, eclipses, and space weather and how the Sun compares to other stars in the universe.